On Thursday, eleven princes were arrested in Ryiadh, Saudi Arabia; authorities issued a statement on Saturday. The princes were reportedly arrested for participating in a protest against austerity measures in the kingdom. Authorities ascribed these arrests to a wider crackdown on corruption but did not name any of those arrested. Those arrested are being detained at al-Ha'ir Prison. "No one is above the law in Saudi Arabia. Everyone is equal and is treated the same as others," said Saturday's official statement. News of the protest and arrests first broke on Friday on a website known as Sabq. The Saudi royal family may number in the thousands, and the government recently announced an end to paying for their water and energy bills. The protest, which is being described as a sit-in at the Qasr al-Hokm royal palace, was in opposition to the cuts in royal benefits, but also related to the murder conviction and execution of a cousin of theirs in 2016, calling for compensation for his death. 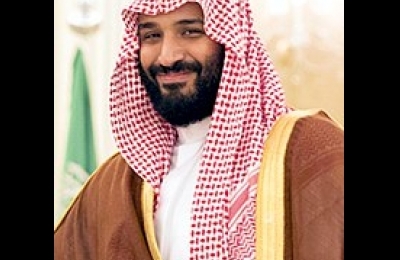 Crown Prince Mohammad bin Salman has been overseeing anti-corruption, austerity and social reforms programs since late last year, which included giving women the right to drive automobiles. Besides cutting the aforementioned benefits for members of the royal family, the austerity program has also included doubling domestic gasoline prices and levying new taxes on most goods and services. Offsetting some of these measures, King Salman stepped in, saying students, government employees and military personnel would receive cost-of-living allowances, according to the Saudi Press Agency.